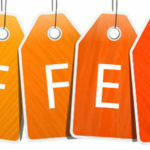 This software is designed for personal or business use. Use it to address envelopes without using Microsoft Word or other software. Multiple return (with logo) and forwarding addresses databases. Setup different return address for individuals (mom,dad, mom and dad, each child or for various purposes. Forwarding address database can be used for paying regular bills or sending letters to customers or friends and family. Add Comments. Report list of Addresses in database. Control font type and size (limited). Popular envelope sizes are built in or create a custom envelope size or label. 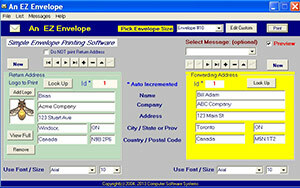 This is one of the unique features of An EZ Envelope addressing software.